Contrary to popular belief I just want to point out that I can keep a secret. Especially when I've signed an epic NDA (non-disclosure agreement) that would have put me in serious hot water had I talked (or posted) too soon. So a month or so back I headed down to Queenstown to shoot stills on GoPro's epic five minute video below that showcases exactly what the new Hero3 is capable of. GoPro had flown in a bunch of athletes from around the world and for the MTB segment they choose GoPro rider Aaron Chase and his good buddy Kelly McMassive. Apart from the diving and the surfing (which was shot in Tonga) and the kayaking (which was shot in the Central North Island, there's even some Tree Trunk Gorge in there) the whole video was shot in Queenstown. Kelly and Aaron were in town for a week but filmed for all of three days. We have a feature story on the whole thing in the December issue. 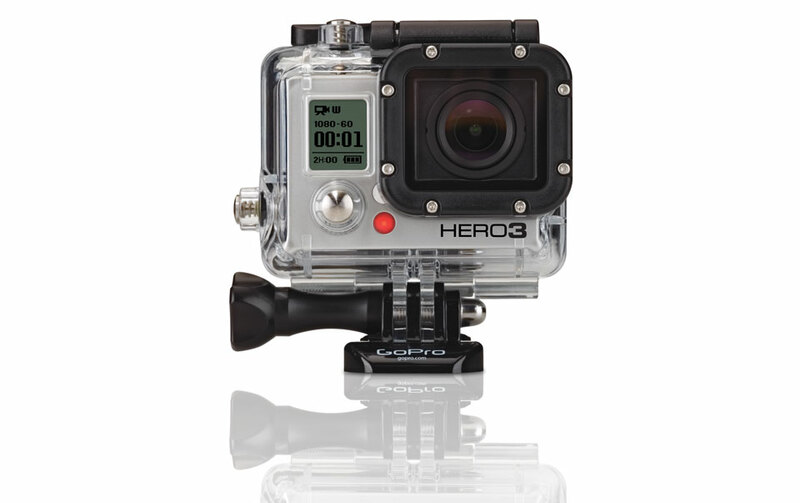 So the whole massive shoot was in aid of the new GoPro Hero3. Now as I said earlier today this thing is a game changer. It's half the size of the Hero2 but it will still fit all your old mounts, but it's what's going on inside that's crazy on the top model the camera films at 2.7k resolution at 30fps, that's twice the resolution of 1080p. But here's the best bet. At 60fps it films at 1080p so you're getting HD slow-mo, then at 720p it films at 120fps and if you drop the res down even further you can get 240fps. CRAZY! As well as all that it shoots 12mp stills and has a burst mode where it shoots up to 30 shots in a second. And as I mentioned this morning in the new half the size shape it has the WiFi and remote features built in. But you'll be able to upload footage from your smartphone to the web moments after you've filmed it!